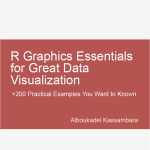 View cart “Network Analysis and Visualization in R” has been added to your cart. Discovering knowledge from big multivariate data, recorded every days, requires specialized machine learning techniques. 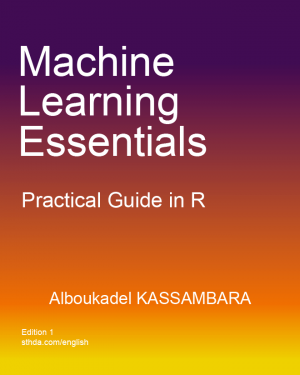 This book presents an easy to use practical guide in R to compute the most popular machine learning methods for exploring real word data sets, as well as, for building predictive models. 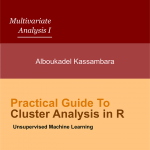 A) Unsupervised learning methods, to explore and discover knowledge from a large multivariate data set using clustering and principal component methods. 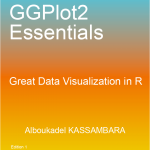 You will learn hierarchical clustering, k-means, principal component analysis and correspondence analysis methods. B) Regression analysis, to predict a quantitative outcome value using linear regression and non-linear regression strategies. 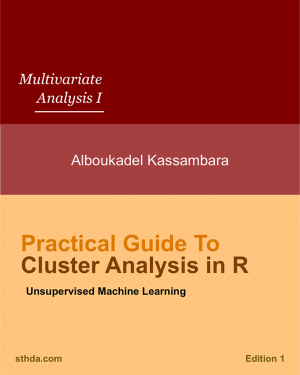 C) Classification techniques, to predict a qualitative outcome value using logistic regression, discriminant analysis, naive bayes classifier and support vector machines. 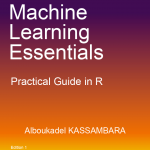 D) Advanced machine learning methods, to build robust regression and classification models using k-nearest neighbors methods, decision tree models, ensemble methods (bagging, random forest and boosting). E) Model selection methods, to select automatically the best combination of predictor variables for building an optimal predictive model. These include, best subsets selection methods, stepwise regression and penalized regression (ridge, lasso and elastic net regression models). 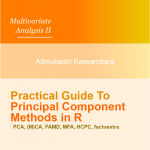 We also present principal component-based regression methods, which are useful when the data contain multiple correlated predictor variables. F) Model validation and evaluation techniques for measuring the performance of a predictive model. G) Model diagnostics for detecting and fixing a potential problems in a predictive model. 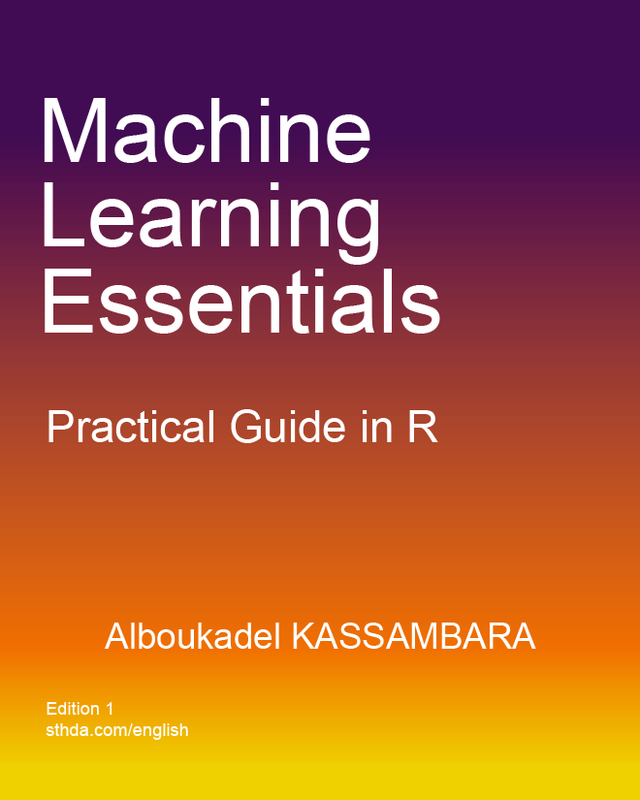 The book presents the basic principles of these tasks and provide many examples in R. This book offers solid guidance in data mining for students and researchers. 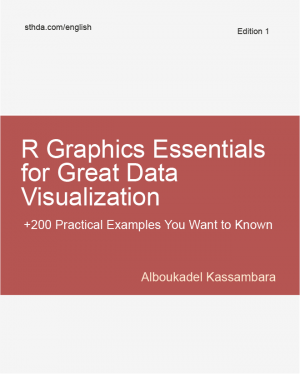 - Short, self-contained chapters with practical examples. The explanations are clear and concise. The code directly usable. Perfect for quickly finding a solution to a particular problem. However, there are no links to navigate within the pdf document (for example from the contents or from the index). Great book with practical examples!